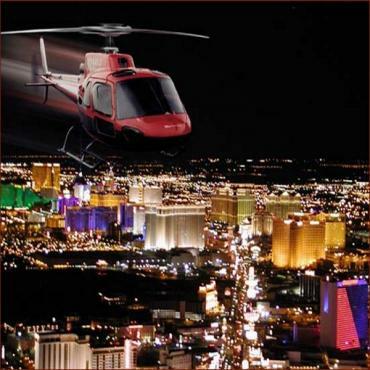 Bon Voyage are delighted to offer you special rates with Maverick Airlines to the Grand Canyon from Las Vegas. 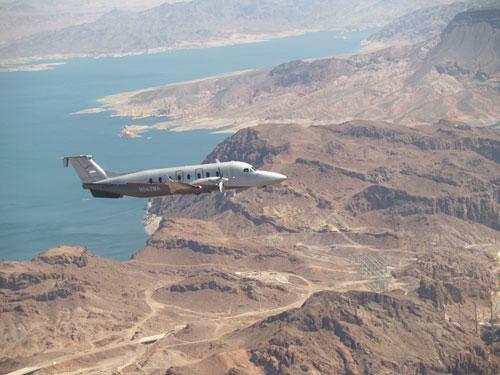 Operating exclusively Beechcraft 1900D aircraft, all Maverick planes are custom designed to seat up to 18 passengers, offer fully instrumented IFR operations and a pressurized climate controlled cabin. The aircrafts have been upgraded for your comfort with leather seating, video, stereo and a large cabin. For your safety and convenience Maverick Airlines provide a flight crew of two and employ only the highest level of pilots in the industry with years of qualified flying and experience. 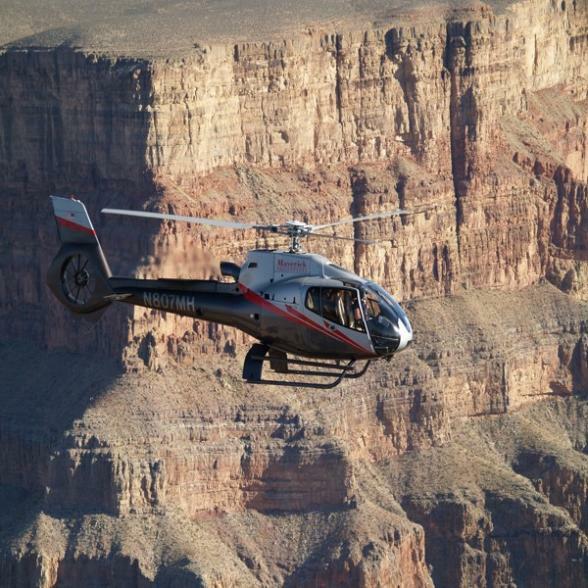 Fly in Maverick style to this amazing wonder and land at Grand Canyon West as you enjoy spectacular views along Eagle Point. At the Indian Village you will receive a brief introduction to the Hualapai Indian legends and culture then proceed to Guano Point where you observe a breathtaking view of the canyon. Have you ever wanted to walk on air? 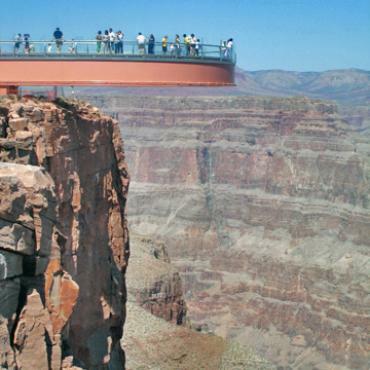 Don’t miss out on the Grand Canyon Skywalk, the new glass bridge attraction suspending more than 4,000 feet above the Colorado River on the very edge of the Grand Canyon West Rim. This is an optional activity on this tour and can be purchased directly through Maverick Airlines. 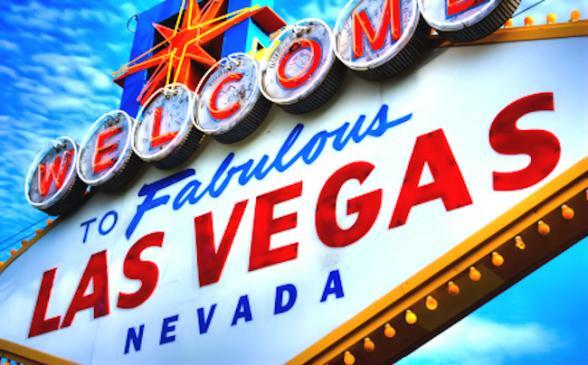 The Western Territory tour lasts approximately 5 hours (hotel to hotel). 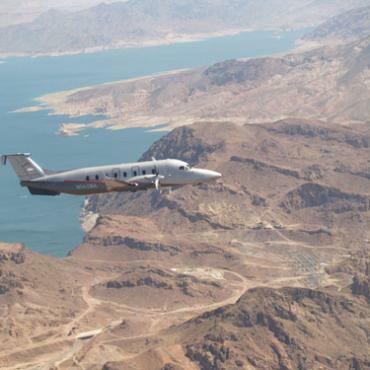 Your ultimate adventure will begin with a 40-minute flight to the Grand Canyon South Rim aboard a Maverick's Beechcraft 1900D aircraft. Your journey continues with transportation into the Grand Canyon National Park to enjoy the awe-inspiring vistas, panoramic overlooks and trails that can only be accessed from inside the park. A gourmet box lunch will be served as you absorb the magnificence of the Grand Canyon and capture memories to last a lifetime. 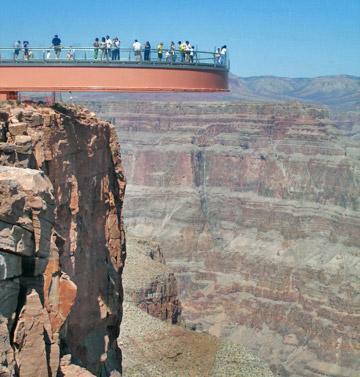 The Grand Canyon Explorer tour lasts approximately 6.5 hours (hotel to hotel). 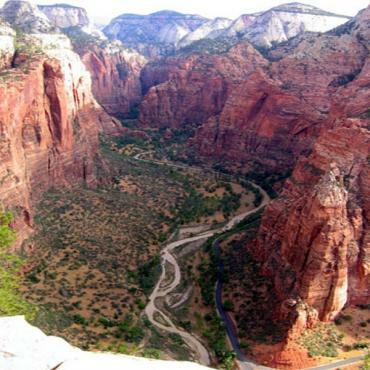 The Canyon Dream tour lasts approximately 7 hours (hotel to hotel).